First, companies need to make sure that only designated executives speak with analysts. That’s typically the CEO and CFO, but some companies also authorize CMOs, COOs, or others to communicate with the Street. Before engaging with an analyst, executives should make sure they’re officially among the company’s approved Street-facing representatives. However, it’s easy for other managers to find themselves chatting with analysts, so it’s crucial that team members know your policy. For example, an enthusiastic vice president of sales representing your company at a conference or trade show might start talking about future sales and stretch goals — precisely the kind of casual, unauthorized conversation to avoid. Putting the right people in front of analysts is only the first step. From there, executives must tend to the nuances and potential pitfalls in communicating with the Street. Here are four crucial mistakes and how to avoid them. Analysts, under time pressure to issue commentary and investment advice, require speedy answers to their questions. A company’s failure to respond quickly may frustrate analysts. Worse yet, unreturned calls could raise concerns since bad news often follows silence.Respond to analyst calls as soon as feasible, especially when news is breaking. In that situation, it makes sense to return calls within two hours or sooner if possible. Analysts want to know the story and to trust the management team; having an open dialogue allows that to happen. On the other hand, a company preparing to release negative news would be prudent to keep analysts at arm’s length and avoid incoming calls for the moment, while having an assistant reach out to offer a future date to talk. It’s natural to want to reassure analysts, but companies need to avoid giving a false sense of optimism when it is not warranted. For example, the week before announcing that an acquisition isn’t going as planned or releasing similar disappointing news is not the time for chatting with analysts. 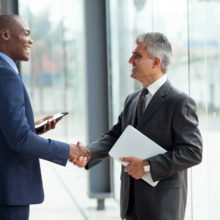 Executives should be as consistent as possible in letting the Street know when they plan to announce earnings and attend investor conferences and other events where analysts will want to meet with them.It’s helpful to issue a calendar of events and press releases, and to announce your plans in a timely manner; neglecting to do so suggests that your communications are unpredictable, which detracts from your company’s overall story. Announcing events with plenty of time for investors to plan, when possible, is also crucial to good communications. Analysts like to think that management teams have a clear plan and good handle on investor outreach. Analysts expect news to flow at a cadence similar to what the company has done in the past. So, if the fourth quarter earnings call is usually held the first week of February, analysts will expect future calls to be around that time. If the company needs to delay earnings because of a personal scheduling conflict — for example, if an executive has to take a child to college on the same day the release was arranged — announce the change early so it doesn’t come across as a worrisome last-minute move. Being transparent about reasons for rescheduling also helps build trust. Appearing to favor one analyst in scheduling road shows, conferences, and personal meetings can produce ill will with other analysts, who may feel excluded and that they’re missing part of your story. Pride isn’t all that’s at stake here. Analysts who don’t feel close to a company tend to be less enthusiastic about covering it.You might need to spend more time with certain analysts if their firms are handling a transaction for your company. All things being equal, however, executives must be consistent and make sure to offer all analysts the opportunity to take them on a road show. One road show per analyst per year, or every six months, is a good rule of thumb. Executives often err in limiting access for analysts with less positive ratings. Analysts downgrade shares to neutral or sell for a number of reasons. Perhaps a high valuation forced the move, or the analyst wants to wait to evaluate the success of a recent acquisition. In those cases, the move might be temporary, and maintaining open channels of communication is in your best interest. Unless an analyst is hostile or bears your team ill will, view the neutral rating as an opportunity for a future upgrade. Talk to the analyst to address your challenges and his or her concerns. Neutral analysts will assume they’ll be last on your dance card, but that doesn’t mean you should deny them road show and conference opportunities. No matter how much you like analysts, don’t become overly familiar or view them as friends. When attending trade shows or conferences, it’s easy for unseasoned CEOs or CFOs to let down their guard and start chatting and over-sharing.Analysts, however, are doing a job: trying to determine which way your stock will move and what the drivers of such moves will be. Maintain professionalism and remember that anything you tell an analyst may be broadcast directly to the public markets. While maintaining a good, conversational relationship will allow you to add color and nuance to the analysts’ understanding of your story, the utmost care must be taken to not provide non-public information. It’s important to nurture open, balanced, professional relationships with analysts. Westwicke can help you develop a successful plan to manage this vital piece of your company’s IR strategy. To learn more, get in touch.